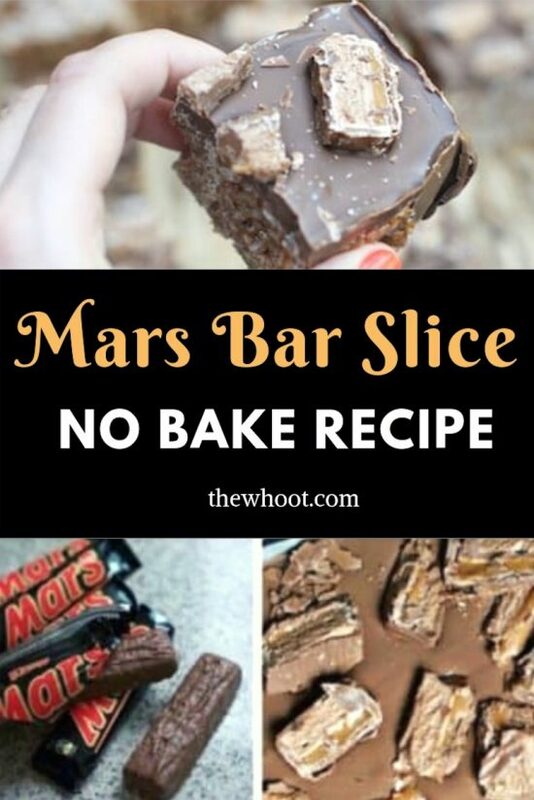 You will love this delicious Mars Bar Slice Recipe and it’s no bake and easy to make. This is one treat that’s impossible to beat. Grab the details now and whip up a batch. 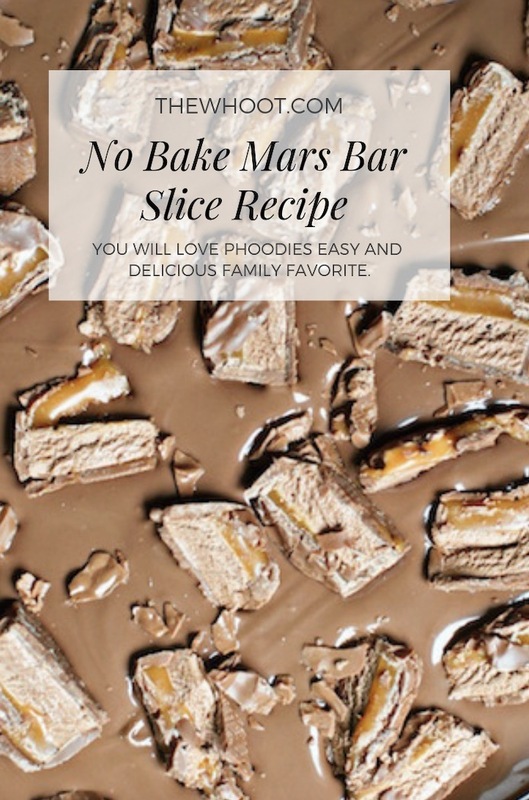 Phoodie, a favorite contributor here at The WHOot is a long-time fan of Mars Bars and she includes them at every opportunity. 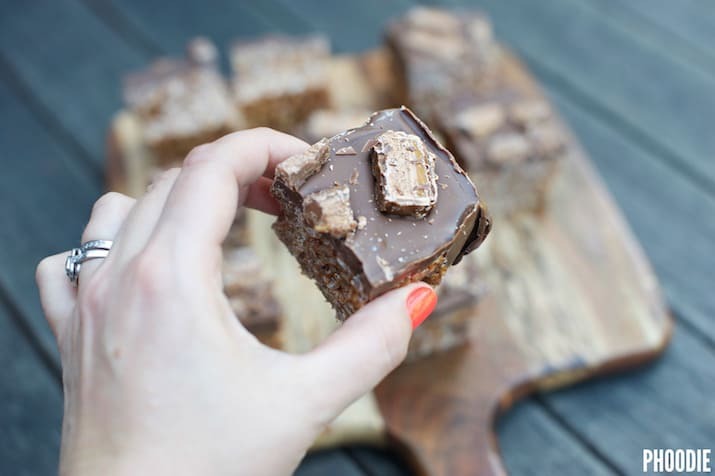 Today, she is sharing her legendary Mars Bar Slice Recipe with us and to say you will love it is an understatement. One look and you know that you are in for a wickedly good treat! 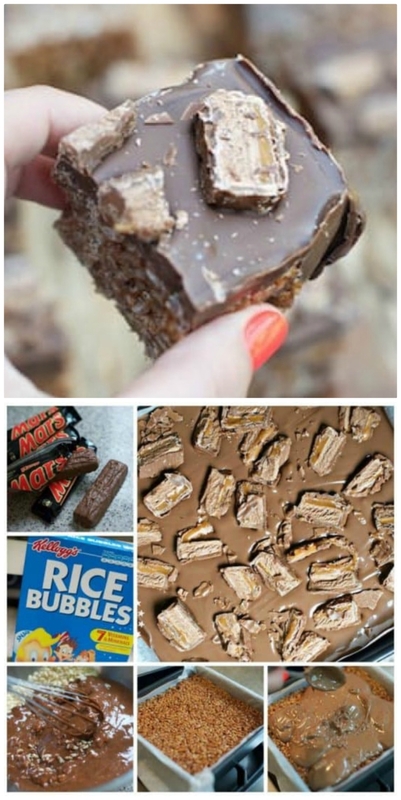 We sure love them and what better way to get your chocolate fix, than to make them into this amazing slice? This recipe couldn’t be easier. Here’s what you need. 2) Roughly chop 6 of the Mars Bars and place in a small saucepan. 3) Add butter to the saucepan and melt the MBs with the butter over low heat. You do NOT want this to simmer/boil but rather just to combine into a smooth mixture. You can use a whisk. 4) Remove from heat and pour over the rice bubbles. Stir to combine. 5) Firmly and evenly press the mixture into your pre-prepared tin. 6) In 20-30 second bursts in the microwave, melt your milk chocolate. Stir in between bursts. Alternatively, you can slowly melt the choc in a pan over low heat. 7) Pour melted chocolate over rice bubble base, spread evenly with a spatula, and top with remaining 2 (chopped up) Mars Bars. 8) Place in fridge for topping to set. REMEMBER: To assist with slicing, take out of the fridge 1-1.5 hrs before you want to cut it which will allow it to be cut at room temperature. Use a sharp chef’s knife.